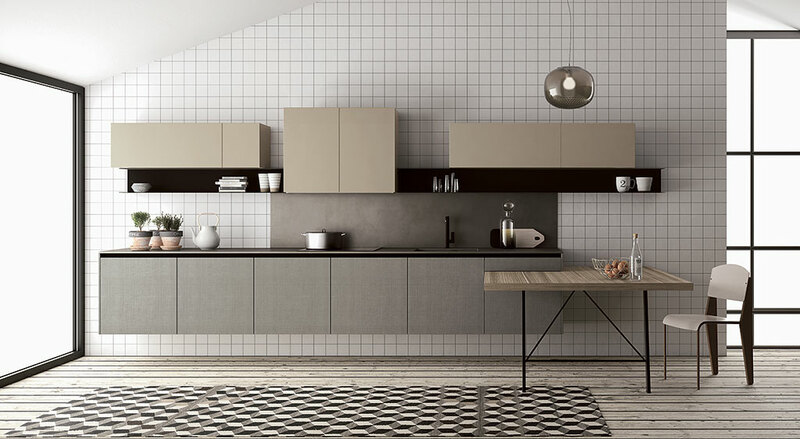 Fjord is a modern modular kitchen that allows for a great deal of freedom of expression: destructured, classical, composed with compact dimensions, brightly coloured, industrial, minimalist or Sixties/Seventies. 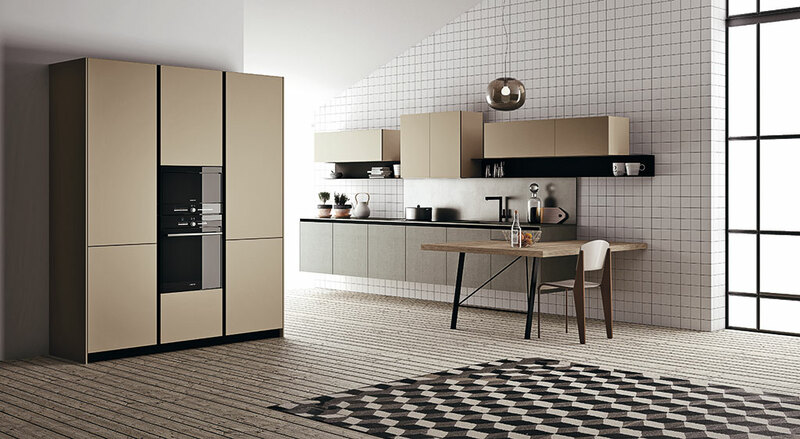 It is also available with worktops in the innovative material Fenix NTM®, and with practical solutions such as hanging base units that make it easy to clean the floor and lighten the overall look of the kitchen, C shaped shelves for a wide range of uses and a practical table that can be set into the work area to create an additional useful surface. 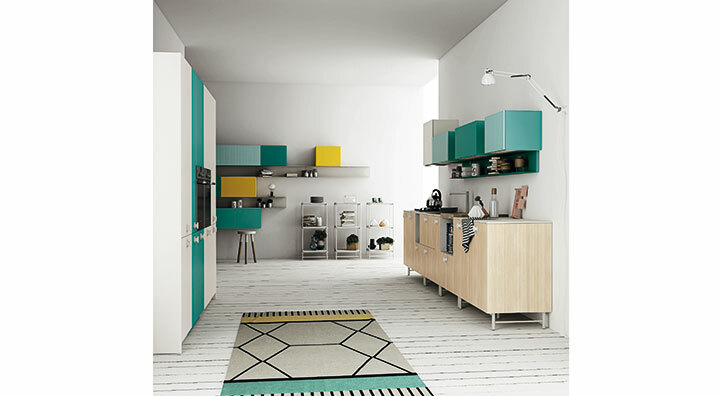 The colourful Fjord recreates a vintage 1960s kitchen with exposed feet below the base units, round handles, lightweight freestanding elements reminiscent of trolley shelving and areas defined by use: washing and cooking, pantry, the passage into the living room. 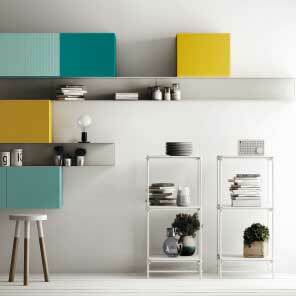 Freestanding elements in painted steel tubing with lacquer finished HPL shelving. 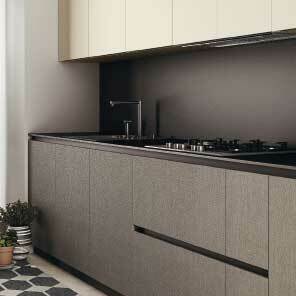 Textile touch effect finishes are available on request. 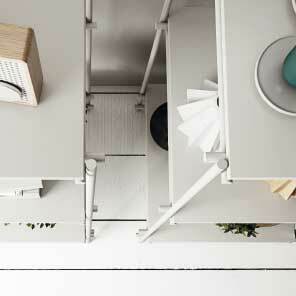 Designed in metal, exclusively for Fjord, with finishes in steel, white paint, or white paint with a steel centre. 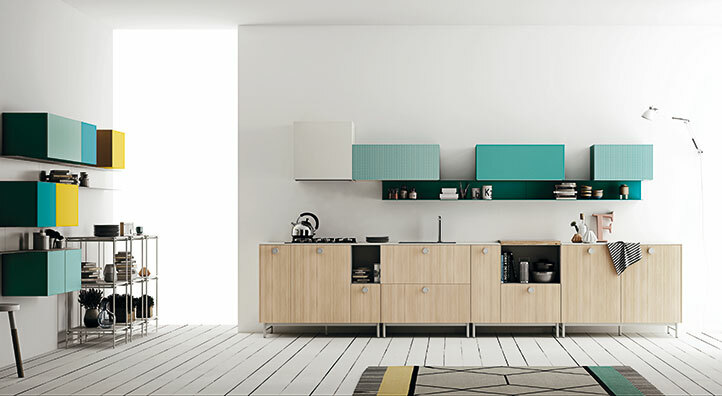 Colours illuminate this playful composition of hanging cabinets: open C shaped metal elements and classical wall units in a range of dimensions and finishes. 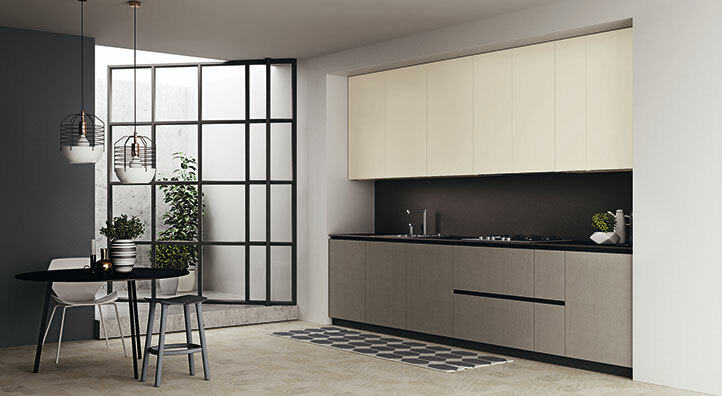 A linear modern kitchen in a niche, that belongs to the range of models that use Fenix NTM® for worktop and backsplash of the working area, that needs to be easy to clean and more hygienic than others. 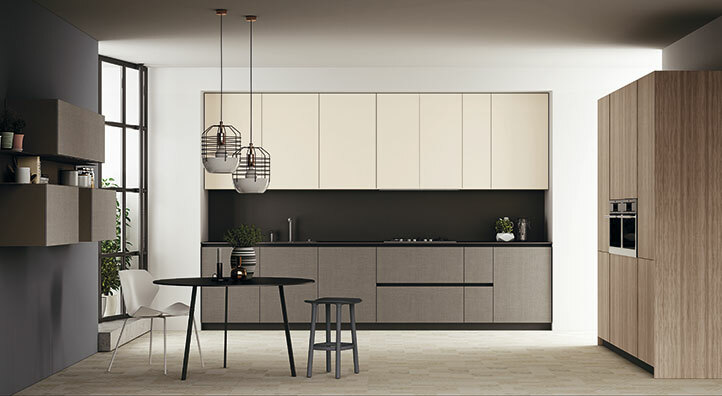 This kitchen in a niche mixes lacquered wall units and base units with textile effect tactile finishes and different dimensions to create a pantry that can be personalised in a range of ways. 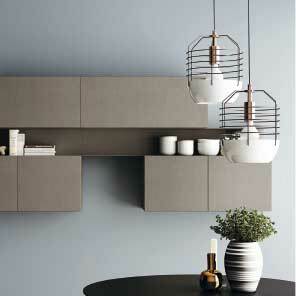 Open shelving in painted metal is inserted between the wall units of different dimensions to lighten the overall composition that extends into the living room. 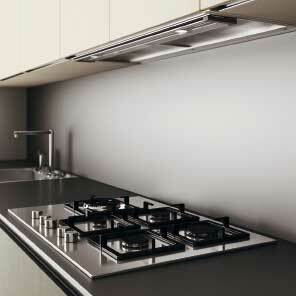 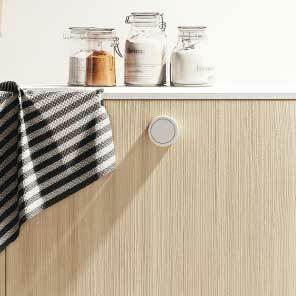 The hood for the linear kitchen is built-in to the wall units to maintain the clean lines of the composition and, upon request, can be fitted with a pull-out front panel to collect fumes.